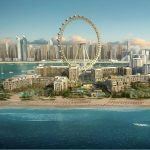 Caesars Entertainment has reached a deal to manage and operate two non-gaming resorts and a beach club on Dubai’s $1.6 billion man-made Bluewaters Island mixed-use retail, residential, hospitality, and entertainment space in the Persian Gulf. The project marks the company’s first foray into running a Caesars-branded hotel that isn’t accompanied by a casino floor. Like most of the Middle East, gambling is strictly banned in the United Arab Emirates (UAE). Caesars CEO Mark Frissora says the agreement is in accordance with the company’s post-bankruptcy plans to expand its hotel holdings, and grow its customer base internationally. Meraas Holdings, which is developing the island, will own the hotels. Caesars will manage and operate the venues, which will consist of 479 five-star guest rooms, indoor and outdoor pools, and a beach club. 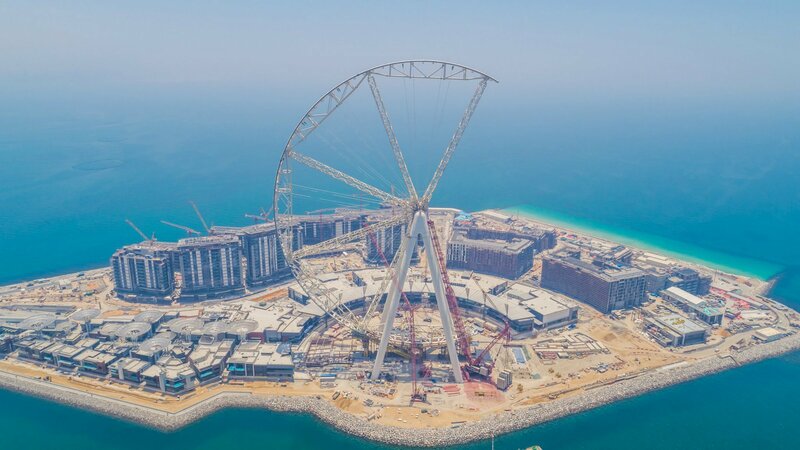 Bluewaters will also feature the $270 million Ain Dubai, which, when completed, will become the world’s highest Ferris wheel, at nearly 690 feet. The current record is the 550-foot tall High Roller at the Linq in Las Vegas, which is, coincidentally, also owned by Caesars Entertainment. After emerging from Chapter 11 bankruptcy in September, Frissora said Caesars would be looking to expand its hotel presence internationally, and also reach deals with smaller domestic hoteliers to use its brand and rewards systems. Revenue from accommodations accounted for just 15 percent of Caesars’ bottom line in 2016, while gaming revenue was responsible for 58 percent. Last year, gaming dipped even further to 52 percent. 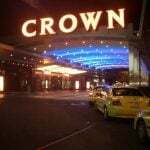 Two decades ago in 1998, for every dollar Caesars made, almost 75 cents was generated by its casino floor. It’s a trend that isn’t specific to Caesars. Celebrity restaurants, entertainment, and now professional sports have all made Las Vegas into a more diverse destination. But Frissora is especially focused on non-gaming for Caesars’ life after bankruptcy. Bloomberg reported in late 2017 that the CEO was fielding talks from hotel companies interested in partnering with the well-known brand. 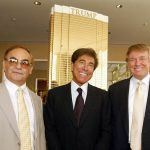 Frissora told The Wall Street Journal this week that he expects Caesars to make up to $20 million annually from the Dubai properties. Details of the operational agreement are still being ironed out, Frissora says, but such contracts are typically arranged as a fee or percentage of revenue. Hotel industry veteran Marco Roca has been pegged to head Caesars’ global development, and that process is beginning with the Dubai alliance. Japan is hovering on the horizon as well. Caesars Entertainment is one of several casino operators interested in bidding on a Japan integrated resort license when the country finally unveils its regulatory bill. In the 2016 shell legislation that called for the National Diet to draft a more comprehensive gaming bill with regulations overseeing the casinos, lawmakers suggested that only operators with international experience, as well as “high morals, a sense of responsibility, and a clean nature” be considered. That might not bode well for Caesars. 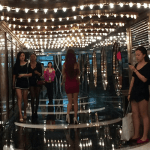 The company has casinos in South Africa, the UK, and Egypt, but not in Macau or Singapore, on which Japanese lawmakers are thought to be most closely basing their regulations. Only recently emerging from bankruptcy might also jeopardize the “sense of responsibility” requirement.